APLynch and the Seahawks have been at odds this season. Marshawn Lynch refused to speak to the media following the Seattle Seahawks’ 24-20 loss to the Kansas City Chiefs and this latest media snub will probably cost the star running back as much as $US100,000. This was the third time Lynch has refused to speak to the media following a game and that doesn’t count the scene at Super Bowl Media Day when he cut his media availability short and then gave a bizarre interview to the NFL Network..
Lynch was fined $US50,000 after his second incident which came last season. 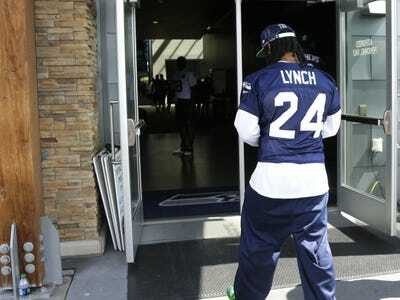 However, according to Peter King of Sports Illustrated, when Lynch appealed the fine, it was temporarily rescinded with the warning that if he boycotted the media again the fine would be reinstated along with an additional $US50,000 fine. 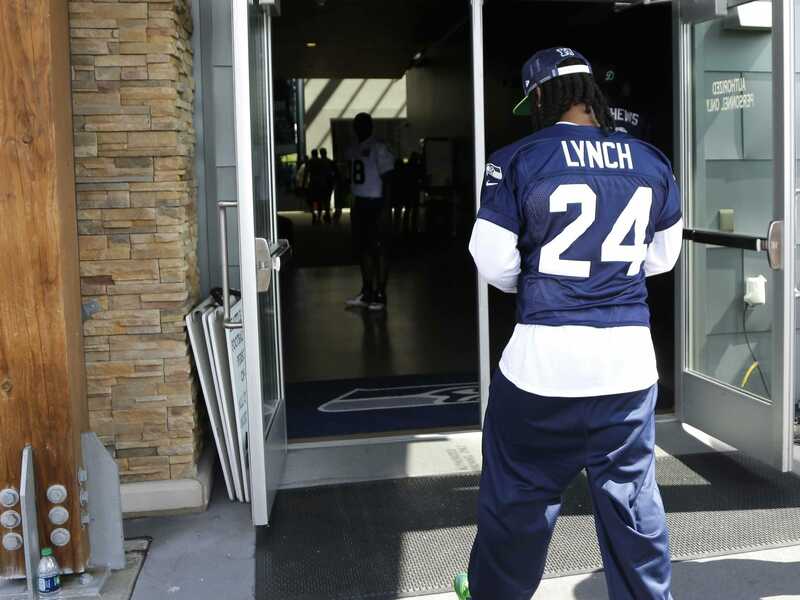 Lynch did call two members of the media after leaving the stadium. However, if the league feels that is insufficient, as King believes, he is facing $US100,000 in fines for refusing to answer a few questions. To put that into perspective, Chicago Bears safety Ryan Mundy was recently fined $US22,050 for an illegal hit on a defenseless player and San Francisco 49ers receiver Michael Crabtree was fined $US5,512 for throwing a football into the stands (instead of handing it to a fan) something the league feels can create an unsafe environment for fans (it could lead to a fight or hit a fan who isn’t looking).